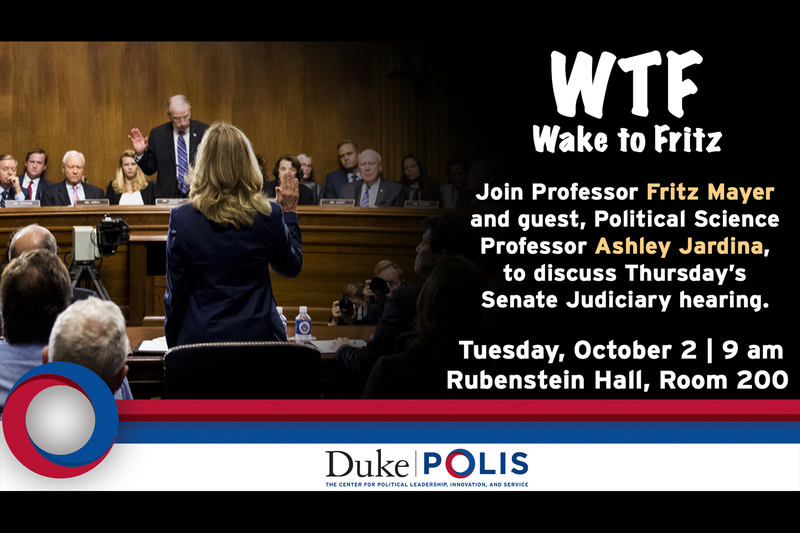 Join Professor Fritz Mayer and guest, Political Science Professor Ashley Jardina, to discuss Thursday's Senate Judiciary hearing. Biscuits and pastries from Rise will be provided! Ashley Jardina is an Assistant Professor of Political Science at Duke University. Her work focuses on racial conflict and the way in which group identities influence voting behavior and political preferences in the United States. She is primarily interested in how Americans are responding to increasing diversity, and her current project explores the conditions under which white racial identification and white consciousness among white Americans is a salient and significant predictor of policies, candidates, and attitudes toward racial and ethnic groups.